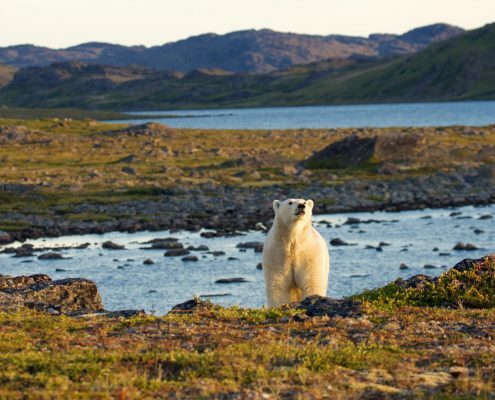 Nunavik Marine Region, an expanse of approximately 5100 square kilometers. Nunavik Marine Region and maps produced through various projects. 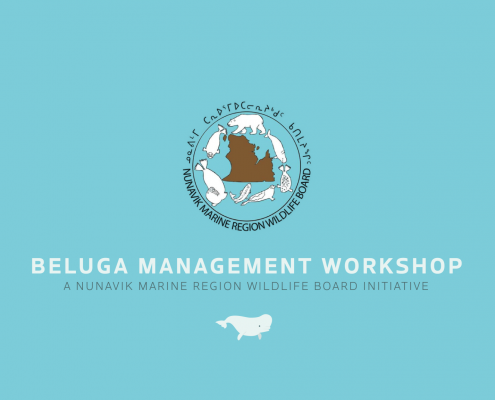 The NMRWB is the main instrument of wildlife management in the Nunavik Marine Region. 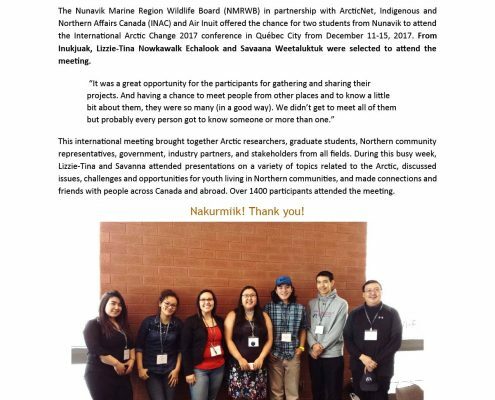 The NMRWB aims to consider both western science and traditional Inuit knowledge, or Inuit Qaujimajatuqangit (IQ) when making wildlife management decisions. 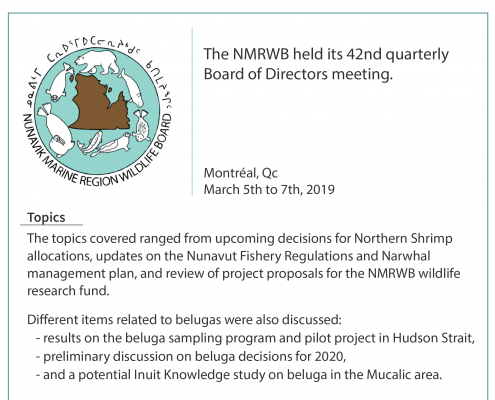 The NMRWB is an institution of public government that was created and operates under the Nunavik Inuit Land Claim Agreement (NILCA). The Governments of Canada and Nunavut and Makivik Corporation, an organization that represents about 10,000 Inuit in Nunavik, signed the Nunavik Inuit Land Claims Agreement (NILCA; read more in the About the Board section) on December 1, 2006. It came into effect on July 10, 2007. 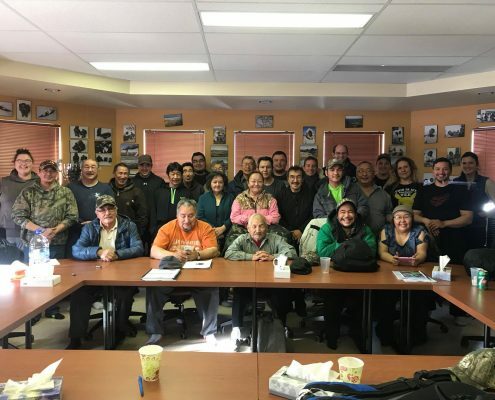 The NILCA addresses the use, management and ownership of Nunavut land and resources in James Bay, Hudson Bay, Hudson Strait and Ungava Bay, as well as a portion of northern Labrador and an offshore area adjacent to Labrador. 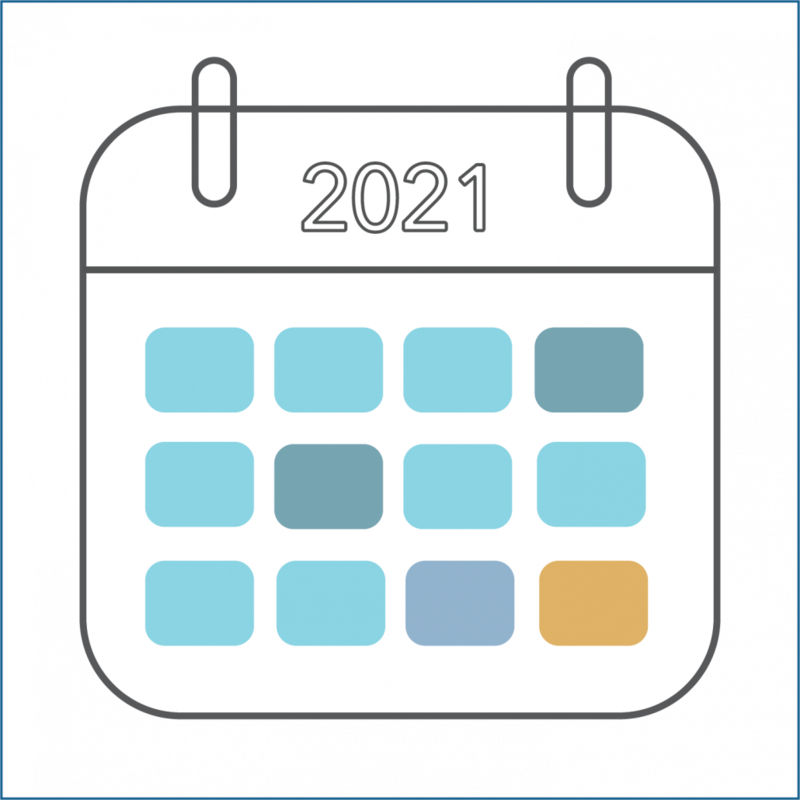 The next Regular Board Meeting will be held in Ottawa, ON in June 2019. For more information, please contact the staff. 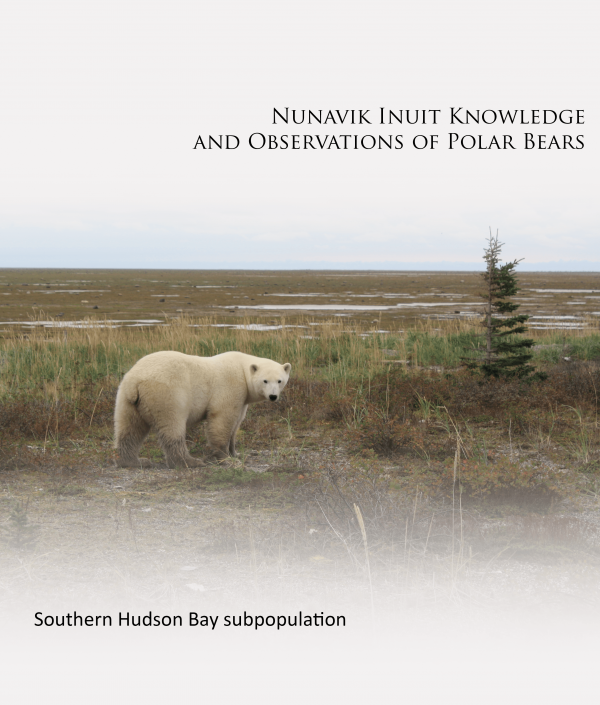 The court case of the polar bear quota in southern Hudson Bay and launched by Makivik was held in Inukjuak from February 4th-8th, 2019. 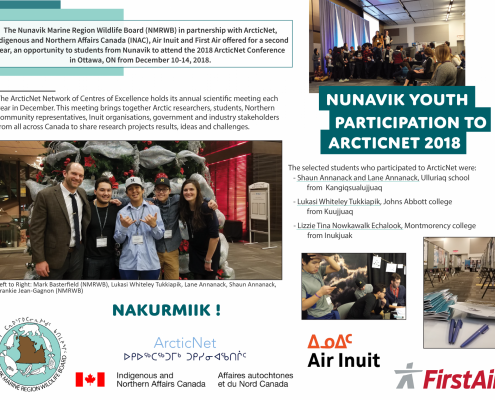 The NMRWB in partnership with ArcticNet, Indigenous and Northern Affairs Canada (INAC), Air Inuit and First Air brought five students from three different communities (Kangiqsualujjuaq, Kuujjuaq and Inukjuak) to the 2018 ArcticNet Conference in Ottawa, ON from December 10-14. 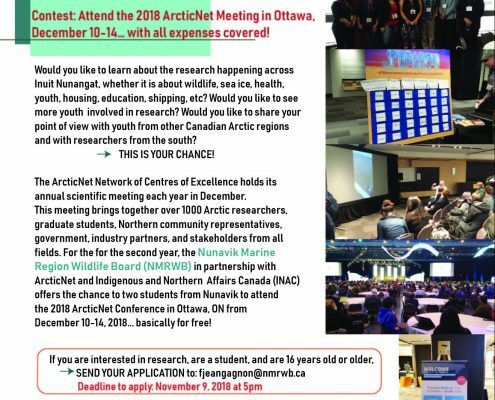 The students had to applied to a Nunavik wide contest and were selected based on their motivation and interests. More details and photos coming soon!